The three cubicles designed for the Birmingham Bloomfield Art Center are made from birch plywood and cold rolled steel. 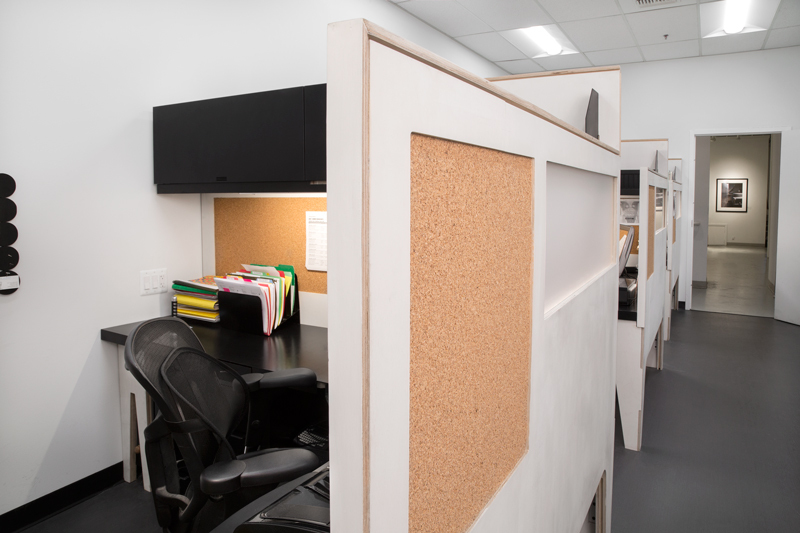 Each cubicle is CNC fabricated and incorporates areas for cork board, custom integrated lighting, and internal cable routing. 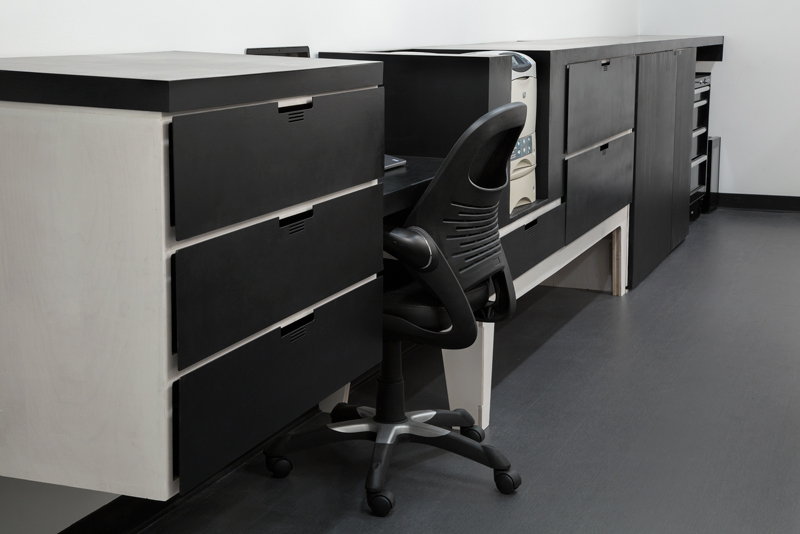 The floating cabinets and file storage allow for a clutter-free office space. All the steel cabinets, desktops and shelving are painted with black enamel and burnished by hand for a truly distinct matte finish. Plywood surfaces where finished with a custom white milk paint and sealed with wax. The design of the cubicles brings function, simplicity and a warmer atmosphere to what once was a banal setting.